This is a braided stainless steel brake hose set for a Spitfire 1962 to 1972. 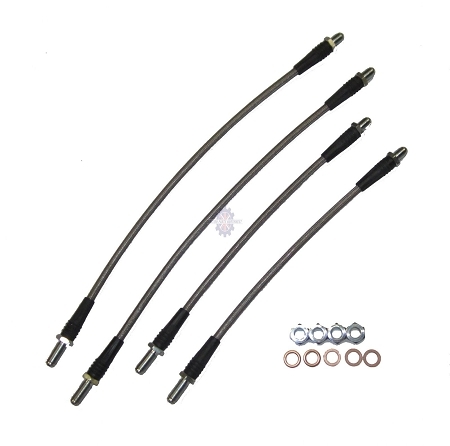 Improve the feel of your braking with these brakes hoses that are long lasting and DOT approved. Made in U.S.A.